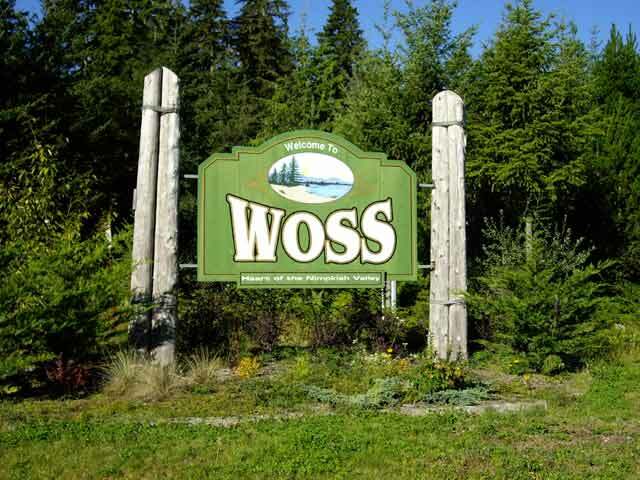 Woss is located on northern Vancouver Island 129 km (80 miles) north of Campbell River and 60 km (37.5 miles) south-east of Port McNeill on Hwy 19. 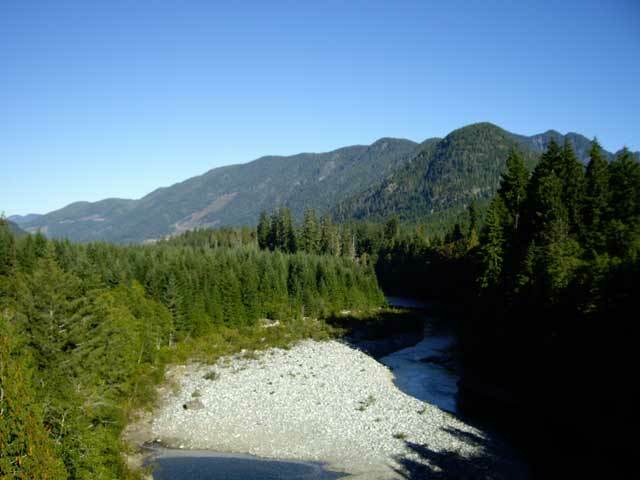 Woss is a small community situated in the heart of the Nimpkish Valley whose economy revolves around logging, servicing other components of the forestry industry and tourism. The Nimpkish River is located just south of the hamlet with a one lane bridge crossing the river on way to a small airport. The main commercial enterprises for the local residents in Woss are at the Woss Service. The store offers a basic selection of general items, gas service station, post office, liquor outlet, as well as supplying one of the local eateries, called The Kawasa Café. The Kawasa Café has a varied selection of food and drinks, including burgers, pizza and a warm cup of coffee. 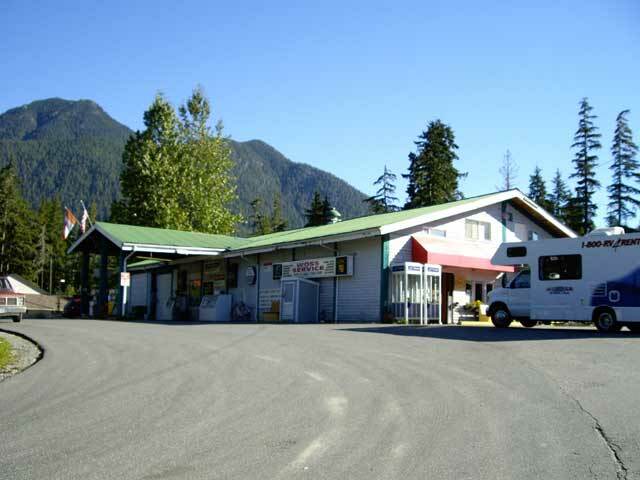 Other businesses at Woss include the Rugged Mountain Motel which features large rooms and comfortable living quarters, a local drinking establishment called the Lucky Logger Pub which offers great pub food and usually has lots of friendly people to talk to. Things to see around Woss include the historic old No. 113, an 80-year plus retired steam train. A real treat for train historians No. 113 was once part of Woss' longest-running logging railway service in North America. Woss Lake is located around 5 km (3 miles) south of the community of Woss. At Woss Lake you can find some good fishing during the summer time as well as great canoeing or kayaking. Just remember to be prepared if you do go out on the lake as sometimes the wind can come up suddenly and it can prove to be quite dangerous. 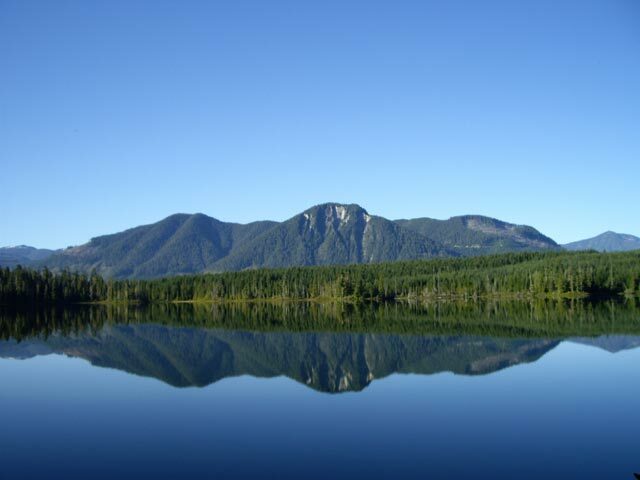 Woss Lake Provincial Park situated on the south side of the lake offers an undeveloped wilderness area with beautiful lake views, snow-capped mountains including Pinder Peak and Rugged Mountain found near the south end, wilderness style camping and remote hiking trails. 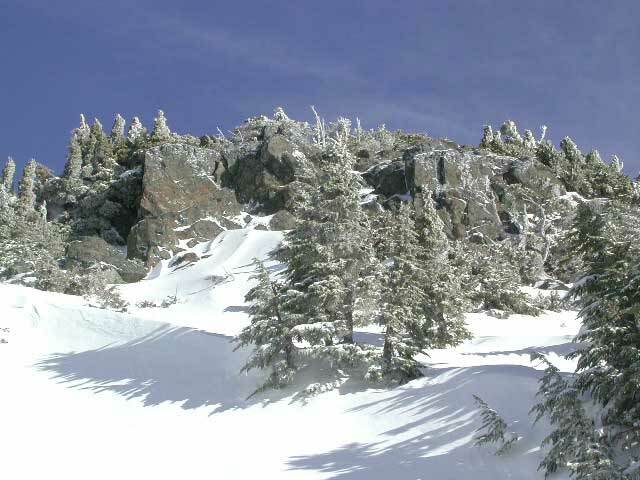 For one of the greatest ski and snowboarding hills in British Columbia, you have to come to Mt. Cain Ski Resort which is located south of Woss. 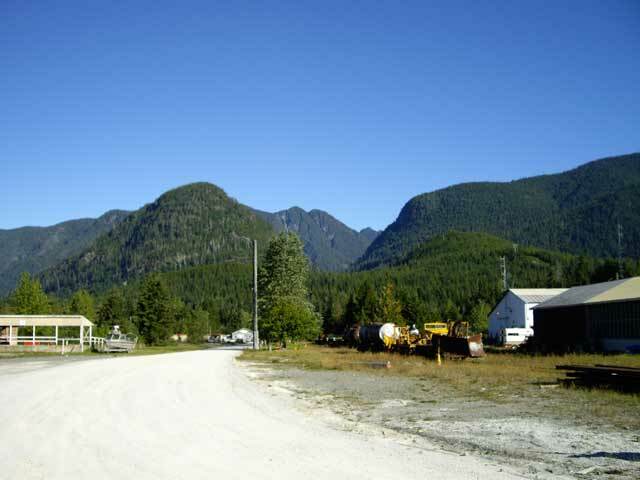 The turnoff to Mount Cain is located 8 km (5 miles) from Woss. From here you have to drive 16 km (10 miles) generally uphill along a rough gravel forestry road to some of the best powder found in BC. If you like there is a bus service from a lower parking lot near the Hwy 19 turnoff to the resort. Please remember that Mount Cain is only open during the weekends not on weekdays. Also the road up Mount Cain is restricted during the week with only forest equipment and logging trucks allowed to use it. Zeballos is another small logging community which happens to be situated on the West Coast of Vancouver Island at the end of Zeballos Inlet. 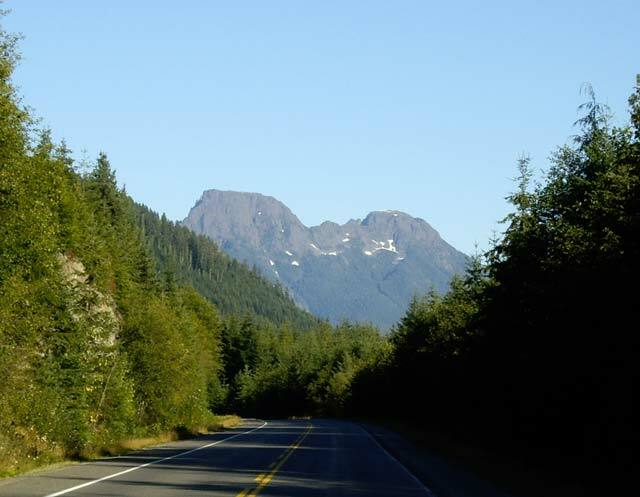 The turnoff to Zeballos is located just north of Woss on Hwy 19 just before Nimpkish Lake, usually around 25 minutes from Woss. Along the 42 km (26 miles) Zeballos Road, you'll run across access to Anutz and Atluck Lakes both fishing lakes, as well as the Little Hustan Regional Cave Park. For your enjoyment Little Hustan Regional Cave Park features incredible caves carved out of the limestone bedrock. There are some which has spectacular underground rock arches for you to view and examples of some Atluck River boreholes and unique geological formations. Access to the Little Hustan Regional Cave Park is via the road to Zeballos around 30 minutes from Hwy 19 turnoff. Situated nearby to Woss are a number of very beautiful lakes with road access. These include Bonanza Lake, Lake Klaklakama, Hoomac Lake and Vernon Lake. One favourite also situated in the spectacular Nimpkish Valley is Atluck Lake. The lake features five slightly treed campsites set in a very serene mountain setting. There is a gravel beach and boat launch at Atluck Lake where you can fish for Dolly Varden, Cutthroat Trout, Char and Rainbow Trout. One other lake featuring a provincial park close by to Woss that you might want to explore is Schoen Lake Provincial Park. This park is considered by some to be the most beautiful on Vancouver Island. The turnoff to Schoen Lake is via the road into Mount Cain then on the very narrow gravel Davie Road into the provincial park. 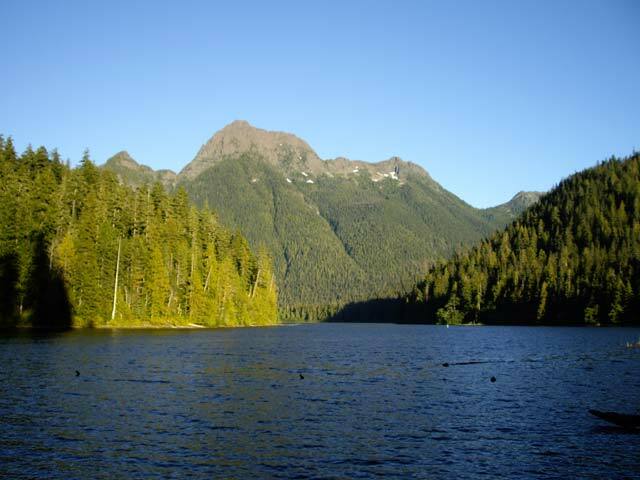 At Schoen Lake you can find remote wilderness camping, great fishing, some excellent scenery of Mount Schoen and wildlife viewing - all set in an old-growth forest. The nice thing about Schoen Lake Provincial Park is that the wilderness camping is all vehicle-accessible on a first-come, first-served basis. Just a reminder, the countryside around Woss is quite remote so be prepared for any hazard or possible dangerous situations. Please practice good wildlife and environmental habits, pack out what you pack in, plus be very bear and cougar aware. Remember if you are exploring the area by forestry road that these are private logging roads with the very high probability of encountering heavy equipment and logging trucks. Please remember logging trucks have the right of way so drive with your lights on as vehicles must use pullouts and yield to logging trucks at all times. Please also remember tire chains are required during the winter time.